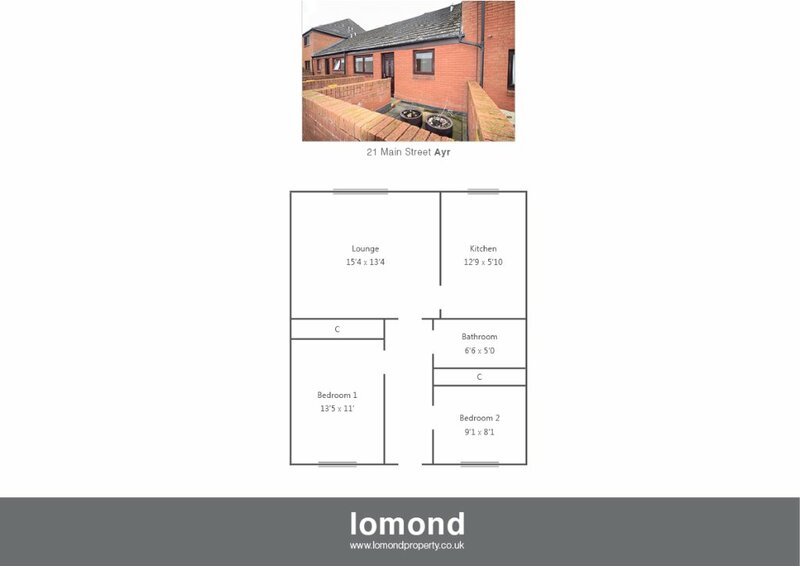 21 Main Street is a two bedroom town centre located flat. The property comprises of a spacious lounge, two bedrooms, family bathroom and kitchen. Further benefits include secure door entry, and parking to the rear. In summary the property layout extends to secure door entry with stairs to the upper level. The property itself comprises of an entrance hallway leading through to the spacious lounge. The kitchen is off the lounge area and provides good storage with floor and wall mounted units. Both bedrooms benefit from fitted wardrobe space. The family bathroom has bath, over shower, WC and WHB. Main Street is a town centre located flat. Ayr town is close by and provides access to a range of amenities including supermarkets, bars, restaurants and town centre shopping. There are a number of local primary and secondary schools within the greater Ayr area.